“I cleared the FE with score 91. … It has been 18 years since my BS degree. 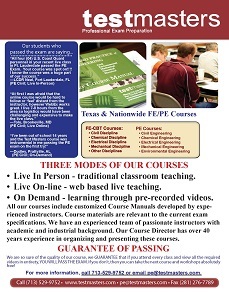 The course at Test Masters helped me tremendously in my FE exam preparation.